Greek Prime Minister Alexis Tsipras warned of the risk of Donald Trump becoming the next US President. EURACTIV Greece reports. Speaking at the Alliance Against Austerity for Democracy in Europe conference on Saturday (19 March) in Athens, the Greek premier expressed concerns about international politics in light of the economic and refugee crises. “Extreme poverty and social inequality establish the hegemony of fear and hatred ideology across the world,” Tsipras said. “Tell me who of you would believe a few months ago that in the US today, the front-runner on behalf of the Republicans for the nomination of the candidate President would be Mr. Trump?” the leftist leader asked. 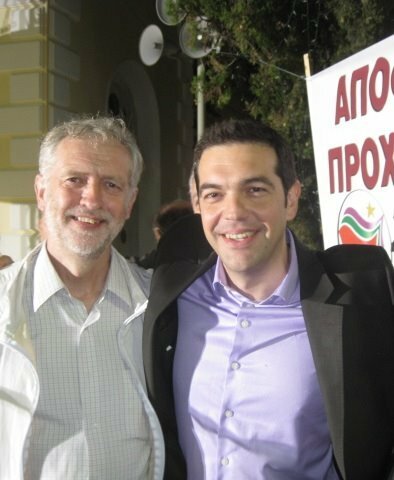 EXCLUSIVE / Alexis Tsipras and Jeremy Corbyn will travel to Paris for an extraordinary pre-summit meeting ahead of the European Council summit in Brussels on 18 and 19 February. EURACTIV France reports. According to Tsipras, the rise of the extreme right is caused by the “ultimate surrender” of governance to financial markets, and the hegemony of neoliberal approaches to the economy. “It is a historical duty of the European progressive forces to struggle for the recovery of the ideological hegemony of the left,” he argued. Referring to the recent refugee deal agreed on by EU leaders, he underlined that Europe was on a knife-edge, facing a triple crisis of economy, refugees and security, which is gradually being transformed into an “existential crisis”. Tsipras stressed that the handling of the crisis by neoliberal forces “confirms our fears for the future of Europe”. Tsipras emphasised, however, the significance of the refugee agreement first of all for the refugees themselves, but also for countries such as Greece and Italy, which will be transformed into “warehouses of souls”. 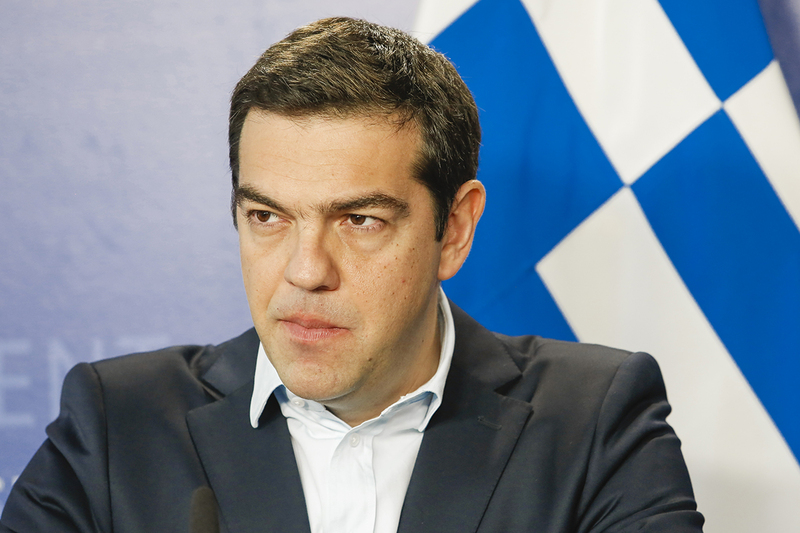 In an opinion piece for EURACTIV’s partner Tagesspiegel, Greek Prime Minister Alexis Tsipras argues that the assumption that Germany is paying for the wages and pensions of the Greek people is “absolutely false”. He added that Europe should change, as it “cannot have open borders to austerity [and] closed ones to persecuted people”. The Die Linke MEP said that the deal would push Turkey deeper into an authoritarian regime and would legitimise the suppression of the freedom of press and the opposition. According to Zimmer, the German government estimates that 3.6 million refugees will arrive in Germany by 2020. 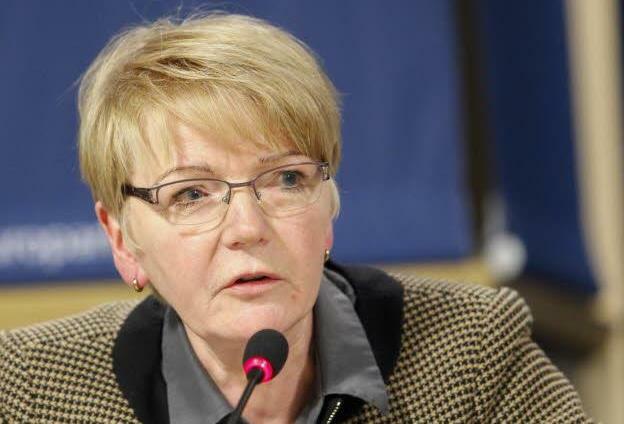 Jeremy Corbyn’s ascension to the leadership of the UK’s Labour Party is a sign that something hopeful is happening in the Socialists & Democrats, Gabriele Zimmer said in an interview with EURACTIV Greece. She also urged against any military action targeting refugee vessels, and to create legal ways for asylum seekers to enter European territory. 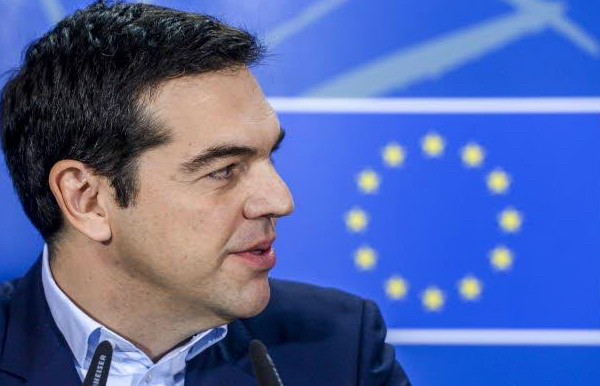 Alexis Tsipras also talked about the third bailout deal agreed last summer between Greece and its international lenders, saying that a left-wing government in Greece managed to “crack” the wall of neoliberalism. “We did not smash it, but we hope that our efforts will have results,” he stated, citing the political developments in Portugal, in Spain, and the “left-wing shift of the Labour Party” in the UK and Ireland. The Greek leader warned that Europe would have no future if it didn’t cope with the crises, and called Europe’s progressive forces to raise a democratic wall against the far-right and Nazism. “Europe will either be re-founded on the basis of its founding principles and the political equality of states, or will not go ahead united for too long,” he concluded. Tsipras himself was seen to be an extreme choice at the time, and look at him now, mr Conventional, like I’m so worried about Trump? Donald is still very busy destroying the Republican party and he should not be disturbed until he is finished doing that. Trump is a populist, once elected he will turn 180′ around just like Tsipras did. Tsipras was litteraly sharing the physical space with the neo nazis from Golden Dawn, in Syntagma Square, Athens, Greece, in summer 2011, during the European mobilisations of the ‘indignados’. He used the same anti-european retoric, full of hatred and bigotry and this raised gave him the ticket to go from 4% to become a government. Trump won’t destroy the Republican party but the congressional Freedom Caucus will. Something Tsipras should know all to well. It should also be noted that Mr Tsipras is still continuing the traditional nepotist tactics that suit well a populist agenda and secure votes for the future. Capital accumulation is commonly called ‘economic growth’ but regardless of the terminology, it is capitalism’s driving force. Without growth, capitalism spirals downward, in crisis. Companies reduce their workforces, and this in turn shrinks the overall demand for goods and services and the tax revenues that governments collect. If prospects for grow sour, capitalists hold back from investment, further amplifying the crisis. In 2008, many of the world’s governments provided banks and corporations with billions in public money to erase bad debt and encourage further investment. Having bailed out corporate capital in its moment of global crisis, the same governments now insist on austerity for the masses as a means of paying the bail-out bill. No one system is perfect but a combination of equal proportions may. Tsipras is simply parroting what others who are largely ignorant of the intricacies of the American political process are repeating. The populist Trump is being attacked by the Republicans for not being a “true conservative” and by the Progressive Democrats and Europeans for being “too conservative.” Donald Trump is simply a convenient excuse for the failed economic and social systems of much of Europe and the USA. If it were not Trump it would be someone else. The Greek drama is just one more story of the failures of socialism. The refugee crisis is the result of a stream of foreign policy failures by the USA under Presidents George W. Bush or Barack H. Obama and the stupidity of European leaders. Trump did not cause these problems. He is only presenting the American People with a possible solution to the problem. It may be the wrong solution, right solution, a good solution, or a bad solution, but it is a potential solution, which is more than Merkel, Holland, Obama, et al. have provided. Trump and his supporters are bordering on evil. He advocates torture and going after families of terrorists. I would call him evil but you can’t prosecute someone for crimes they haven’t committed yet. We should have no sympathy for terrorism but if Trump used torture and bizarrely killed families of terrorists while going on a violent jihad against the entire Muslim world, he, and any that supported him in committing war crimes, should go to jail and arguably face execution for war crimes… as the Nazis did post WW2 for similar behavior. On the flip side though, deluded Tsipiras bizarre thinks euro-communism is the way forward. 100 million dead and countless more oppressed due to communist tyrants during the cold war. Wasn’t so long ago they used to shoot communists in Greece for committing atrocities against the Greek people. Granted centrist parties in Greece made a mess of its finances but some Greeks have lost their marbles and made things even worse by putting a Marxist in power. In short, there is no “good guy” between Trump and Tsipiras. Both are extremists but extremists on opposite sides of the political spectrum. Freedom is about allowing a little bit of this and little bit of that. In a free country there is a place for the public sector and private. There is a place for legal immigration… and for immigration laws that reject illegal immigrants as well. Not exclusively one thing and nothing else. Far left and far right are nearly as bad as Islamic extremists. Self-righteous troublemakers that have little conceptualization of moderation. If we listen to these extremes again, as happened in 1930s, the world is in big trouble.